To make an appointment call us on 9404 1160 or book online. Vetwest Midland is located at 231 Morrison Road, Midland 6056. We are next to Bali Gardens and Stones, directly across from Puma Fuel and just down the road from 7 Eleven petrol station and McDonalds. Our standalone veterinary hospital is next to bushland so your dog can have a sniff on the way in to our clinic. We have extensive parking and are in a central location for your convenience. Our clinic is situated 2.8km east of Midland gate Shopping Centre and is just over 21km to Perth city centre. Midland is a suburb dating back to the late 1800’s with a rich history and a dynamic community character. The main thoroughfares in Midland are Great Eastern Highway, Victoria Street, Padbury Terrace and Helena Street and the town has a lively and balanced mix of residential and commercial dwellings including some unique small businesses. Our veterinary hospital has cutting edge capabilities, ensuring that we have the best facilities and pet accommodation in the area. Our team warmly treat your pets like their family and we are confident that our team will exceed expectations for high class animal care and treatment. 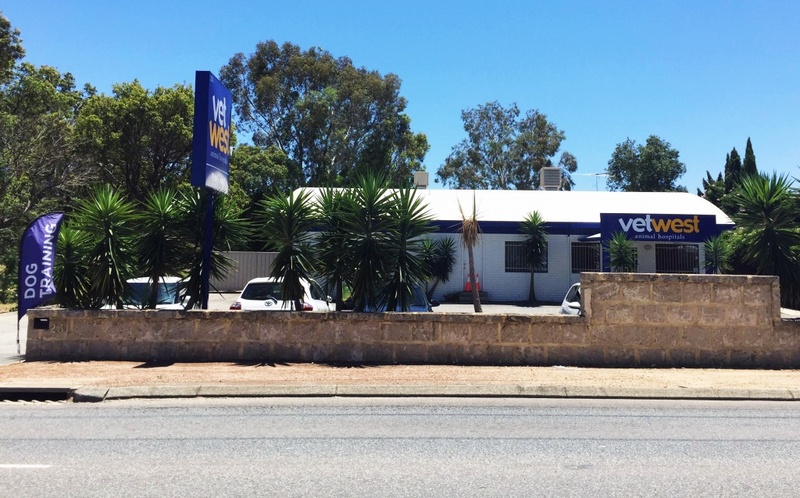 Vetwest Animal Hospitals have been in Perth for over 20 years, and we are focused on providing the highest level of care for you and your pet. We offer a wide range of services for your furry, feathered or scaled loved one and the highest standard of care available. Our fully equipped hospital can handle all types of appointments, from dental treatment, annual health exams and vaccinations, to routine surgery and emergency treatments. We have state of the art facilities including our advanced pathology machines and speciality patient monitoring equipment; checking oxygen levels, heart rate and respiratory rate as a minimum standard. With the same standards as a hospital for humans, we have the highest minimum standards of hygiene from an autoclave machine that ensures gowns and utensils are completely sterilised to avoid any infection complications for your pet during surgery. Our qualified veterinarians are always up to date with the latest information so that your pet receives the best treatment and we conduct frequent competency training for our entire team to ensure an ongoing high level of knowledge and skills to better service your pet’s needs. Our vet nurses are not only highly qualified but extremely warm and friendly so you can relax knowing that your pet is in the best care available. Be sure to call Vetwest Midland today to schedule your next appointment – we look forward to meeting you and your pet!